Well, Ike was right to warn us. And his farewell address was the first thing I thought of when I read the new report 'Propaganda in Orbit' by the 'non-partisan' US-based policy research institute, the Center for European Policy Analysis (CEPA). 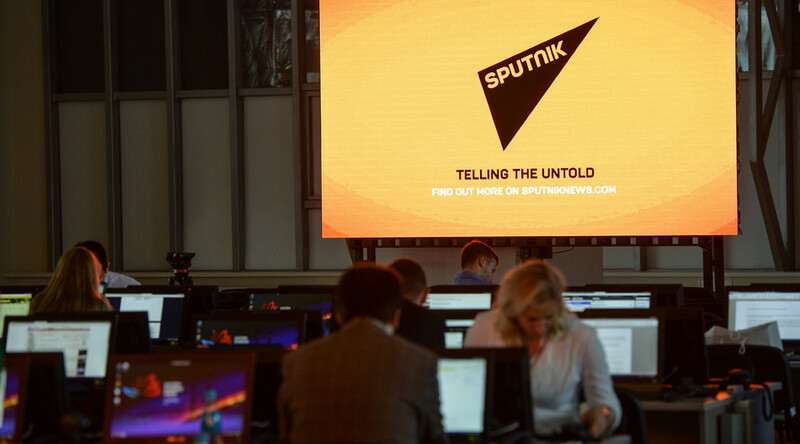 The report, authored by Ben Nimmo, and subtitled 'Information Warfare Initiative Paper No 2', focuses on Russia's “campaign of disinformation in Central and Eastern Europe” and in particular the role of “one piece of the Kremlin's media machine” - the “tabloid news site” Sputnik. Wow! How dreadful! Sputnik quotes a Communist MEP who's not a fan of NATO and who criticizes the EU, the Ukrainian government and the EU/US relationship! It ought not to be allowed! In the name of 'democracy' and 'freedom', only pro-NATO, pro EU and pro-Ukrainian government voices should be quoted! Sputnik is even slammed by Nimmo when it cites MEPs who, by his own admission are anti-Kremlin - but who hold the 'wrong' views on other topics. One such person is Lithuanian center-right MEP Gabrielius Landsbergis. “As a regular critic of the Kremlin and a member of a mainstream party, he appears an unusual choice for Sputnik,” the report says. However, there's an objection that Landsbergis was quoted by Sputnik on Ukraine, a subject on which the Lithuanian doesn't follow the NATO party line. “As such, his inclusion can hardly be presented as an attempt at journalistic balance,” Nimmo complains. “Such cases are only the tip of the iceberg,” Nimmo adds - which conveniently avoids the need for him to come up with more concrete examples. The report - which is just nine pages long (with endnotes) - is laughably thin and it’s clear that Nimmo is really clutching at straws in his attempt to discredit an alternative, non-NATO friendly news outlet. In fact, reading it, I believe, would actually make the impartial observer more keen to check out Sputnik, a station which like RT, (but unlike most Western news networks), does give a platform to those outside of the neocon/neoliberal 'mainstream'. If we are concerned about media bias, then we should surely be reserving our ire for those stations or programs which only interview or cite 'establishment' voices, and not those who interview people from across the spectrum. The question we should be asking is not why are people like Miroslav Ransdorf being interviewed on Sputnik - but why aren't they given more airtime on our so-called 'mainstream' channels? That really is the true scandal. But the Center for European Policy Analysis is not interested in us hearing a wide range of voices. Quite the opposite - it wants to narrow the number of 'acceptable' commentators to those who promote a pro-NATO, pro-US line. A closer look at the background of CEPA - and who funds it - helps us to understand why they are targeting Sputnik. And who funds the 'non-partisan' CEPA? Yes, folks, the US military-industrial complex is funding a 'non-partisan' think-tank which produces reports attacking news stations which give the microphone to 'anti-establishment' voices critical of NATO and who question Europe's continued military dependence on Washington. And what about CEPA's Advisory Council? It reads like a Who's Who of Russophobic Western foreign policy hawks. There's former US Secretary of State Madeline Albright - the Bomber of Belgrade who thought the death of half a million Iraqi children from sanctions was a price worth paying. There's Zbigniew Brzezinski. Eliot A. Cohen- co-founder of the Project for a New American Century and a strong promoter of the illegal Iraq war. There's neo-con columnist Anne Applebaum, the wife of former Polish Foreign Minister Radoslaw Sikorski. And there's David Kramer, a senior director of the McCain Institute and former President of 'Freedom House' who last year called for RT to be closed down. 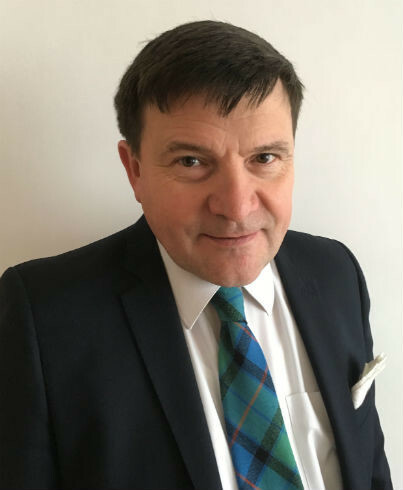 The report's author, Ben Nimmo, is a former NATO lead Press Officer on Russia and Ukraine. It is of course in the financial interest of the military-industrial complex to big up a “Russian threat” to Central and Eastern Europe in order to boost arms sales. Last April, Poland's government picked US-made Patriot Missiles - manufactured by Raytheon- and Airbus helicopters for a $5.53 billion military “upgrade''. Raytheon - as we've seen- is a donor to the Center for European Policy Analysis. Last year, CEPA's Executive Vice-President Marcin Zaborowski, praised the Polish military “upgrade”. Additionally, it's also in the interest of the military-industrial complex to attack media outlets which might make people question whether there really is a “Russian threat” which justifies such major expenditure on weapons - especially for countries like Poland where large sections of the population struggle to make ends meet. These attacks are made through 'non-partisan' think tanks. Which of course brings us back to dear old Ike. “We must guard against the acquisition of unwarranted influence, whether sought or unsought, by the military–industrial complex”. Instead of spending billions on new weaponry to deal with a non-existent Russian “threat”, countries in Central and Eastern Europe would be better off spending on public health care, transport and things which benefit the majority of their citizenry. But 'non-partisan' think tanks like CEPA are out to make sure that profits for the 'defense' industry keep rolling in - and to discredit any media outlets whose deviation from the 'mainstream' pro-NATO narrative might jeopardize those profits. Let's be quite clear about what we are witnessing here: an attempt to stifle legitimate debate on European foreign policy by those with a vested financial interest in stifling it. And disgustingly, it’s all done in the name of "democracy" and being "politically free".